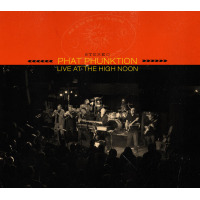 Combining the polish of Top 40 with the smooth feeling of 60’s soul and the raw groove of 70’s funk, Phat Phunktion is a nine-piece horn-driven tour-de-force that embodies the electricity of Tower of Power, Chicago, The Meters, Parliament, and Earth Wind & Fire. The band's undeniable chemistry hits its stride with the rump-shakin' boogie of "Don't Destroy the Funk," as the nonet gleefully unleashes six minutes of horn heaven. 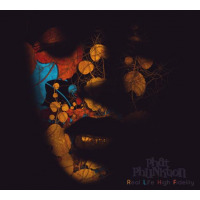 “Live at the High Noon" is set for release on June 2. You Want It All; Whatcha Gonna Do; Knockin’ em Down; Rock Star; Never Be the Same; Don’t Destroy the Funk; Eyes of Mine; Untitled (Weekend Special); Jupiter; Tell Me; Miss Madison; Well Run Dry; Stand Up. Tim Whalen: keyboards and vocal; Vince Jesse: guitar; Darvonte “Turbo” Murray: drums; Nick Moran: bass; Pauli Ryan: percussion; Jon Schipper: trumpet; Jim Doherty: trumpet; Courtney Larsen: trombone; Al Falaschi: saxophone, vocals.